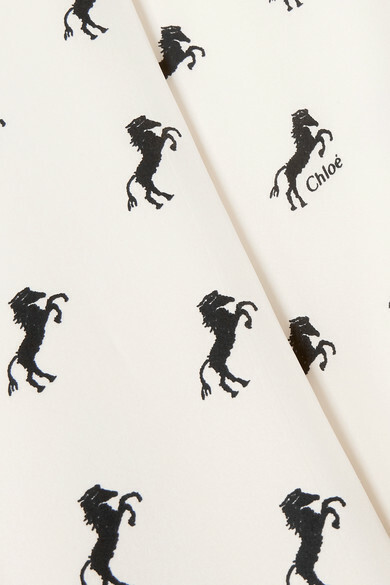 Editors and influencers can't get enough of Chloé's cantering horse print, which first appeared in Natacha Ramsay-Levi's debut collection. 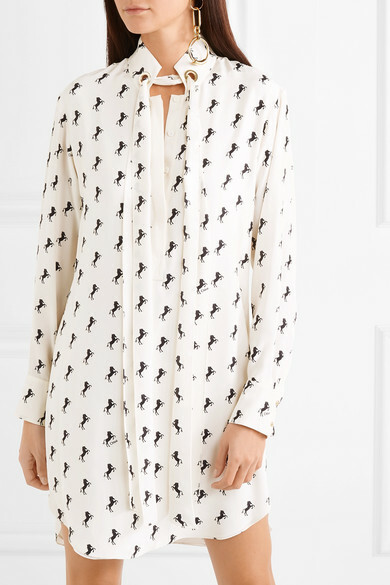 This shirt dress from the French brand's Resort '19 capsule is cut from fluid ivory silk-crepe emblazoned with the cult motif in black. Designed for a slightly loose fit with languid neck ties, it's detailed with signature gold hardware and mother-of-pearl buttons. 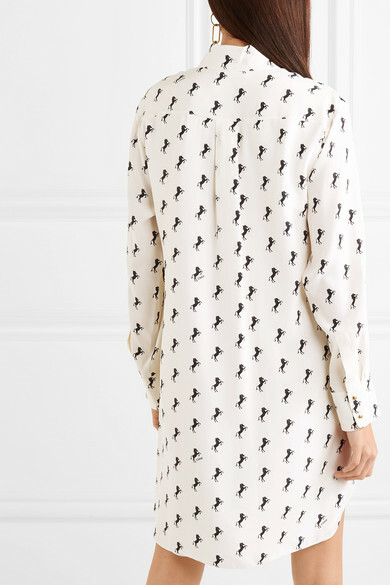 Our stylists think it's the perfect length to wear with over-the-knee boots. 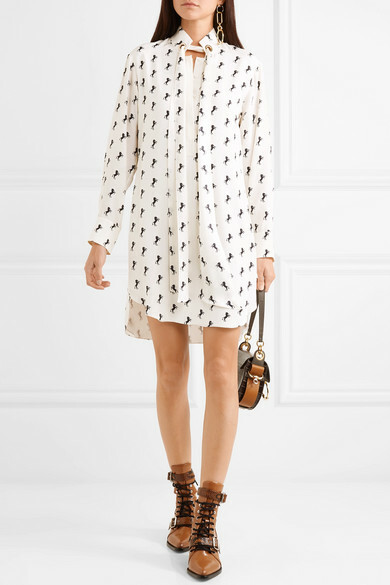 Shown here with: Chloé Shoulder bag, Chloé Ankle boots, Chloé Earrings, Chloé Choker.